TAR of Lazio annuls the denial of elective residence visa. Appeal against the denial of visa for elective residence issued by the Consulate General of Italy in New York. With the Judgment no. 3739 of 17 March 2016, the Regional Administrative Court of Lazio (the competent Italian court for appeal against the visa denial) upheld the appeal filed by a US citizen against the denial of visa for elective residence, issued by the Consulate General of Italy in New York. The US citizen asked the Italian consulate to issue an entry visa for elective residence, in order to move permanently to Italy. The visa for elective residence and the corresponding residence permit, allow foreign nationals, who have no need to work, to fix their residence in Italy, if they can demonstrate the availability of a dwelling to be elected as a residence in Italy and the possession of large financial resources. In the case decided by the Italian court, the US citizen had shown both the purchase of a property, both large economic means significantly exceeding the minimum rrquired by law for this kind of visa. However, the Consulate General of Italy in New York denied twice the visa, arguing that the econimic means of the applicant did not come from annuities or pensions. Therefore, the US citizen, assisted in court by the Italian lawyer Luca Santaniello, appealed against the refusal, disputing the interpretation of current legislation by the Italian consulate. Indeed, the Inter-Ministerial Decree n. 850 of 2011 (which governs the visa for elective residence), does not require that the foreign national's economic means must necessarily come from pensions or annuities, but merely provides that the incomes must exceed a certain amount (about 31,000 Euros), must be autonomous, stable, regular and continuous in time. On this point, the Regional Administrative Court of Lazio considered the application well founded, since the consulate did not take into account, as it should have in order to ascertain the ability of the applicant to reside permanently in Italy without exerting any work, the overall economic situation of the applicant. If you need our help to appeal the denial of elective residence visa, don't hesitate to contact us (click here). 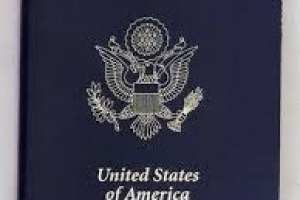 Consular territorial competence for visa applications. Kafala and family reunification visa in Italy. Visa for family members of European Union citizens in Italy. Temporary reintroduction of border control at internal borders.